Heather Durrant doesn't pay much attention to records. 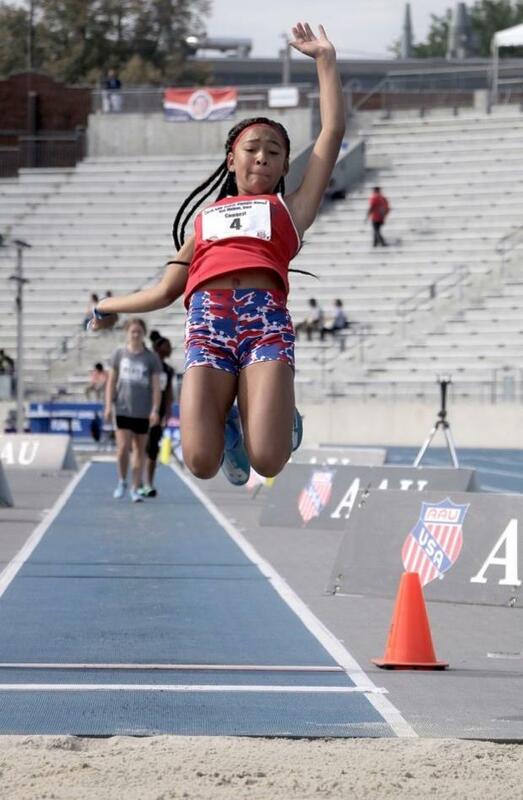 But the 13-year-old, who competes for the Elgin Sharks of Chicago, Illinois, certainly broke a big one Sunday at the AAU Junior Olympic Games, setting a new national record in the race walk with a time of 15:07.85. It was one of two records on the day. That time was the second fastest among all race walkers in every category and puts her on pace to go after some pretty stellar competition in the coming years in the event. American junior record holder Taylor Ewert, for example, was just six seconds faster at the 3K distance at Durrant's age only three years ago. But Durrant, who's heading into the eighth grade, said she isn't worrying about breaking big records just yet. She's still learning and simply trying to hit her splits. On Sunday, she put down a phenomenal effort. Check the interview above and find more content below from Sunday. Kennedy Wright didn't even make the podium a year ago. But 2018 was a much different year for the 12-year-old winner of the girls pentathlon. The young Greer All-Stars (SC) athlete had the best performance of her career en route to her first gold medal at the AAU Junior Olympics with 2,849 points. It was just 17-points ahead of second-place Thalia Waters. Listen to Wright explain her big win. Virginia Elite's Shakayla Lavender had a special promise with her mom. The 11-year-old pentathlon winner finished with a career best mark--and earned a not-too-shabby reward, too. Finishing off the girls heptathlon with a big 800m effort?